„The issue became when it became 2000 because that would be stored as 00 in the program. This caused many to believe that say, bank software wouldn’t be able to get your money out because it was getting it from 1900 rather than 2000. … so FreeBSD almost solved this issue already – while the linux kernel is having a hard time. what about micro kernel systems like hurd? There are now (in 2018) less than 20 years remaining until that fateful day in January 2038 when signed 32-bit time_t values — used to represent time values in Unix-like systems — run out of bits and overflow. As that date approaches, 32-bit systems can be expected to fail in all kinds of entertaining ways and current LWN readers can look forward to being called out of retirement in a heroic (and lucrative) effort to stave off the approaching apocalypse. „When kernel, libraries and applications are compiled, the compiler will turn this assumption machine code and all components later have to match each other. So a 32-Bit Linux application or library still expects the kernel to return a 32-Bit value even if the kernel is running on a 64-Bit architecture and has 32-Bit compatibility. The same holds true for applications calling into libraries. Sometimes it seems that things have gone relatively quiet on the year-2038 front. 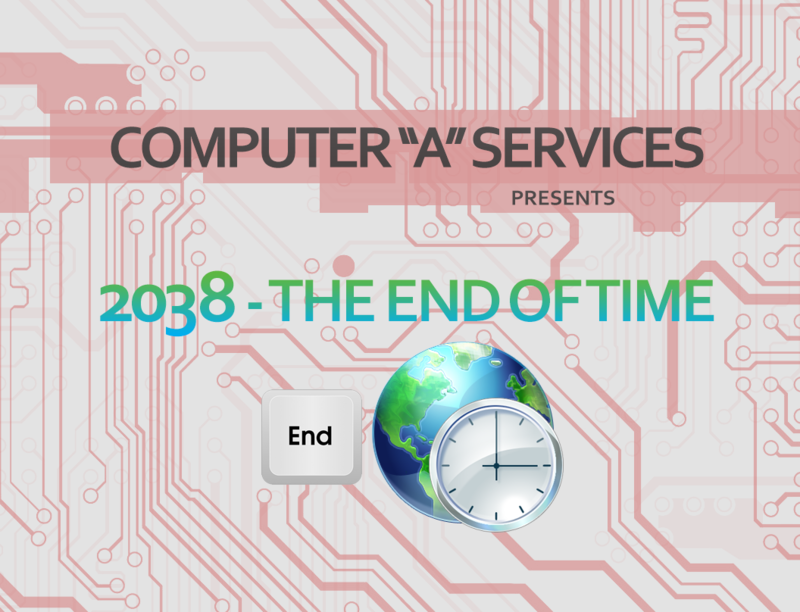 But time keeps moving forward, and the point in early 2038 when 32-bit time_t values can no longer represent times correctly is now less than 21 years away. That may seem like a long time, but the relatively long life cycle of many embedded systems means that some systems deployed today will still be in service when that deadline hits. One of the developers leading the effort to address this problem is Arnd Bergmann; (operating at IBM Deutschland Böblingen (near Stuttgart)) at Linaro Connect 2017 he gave an update on where that work stands. That work, he said, is proceeding on three separate fronts, the first of which is the kernel itself. He has been working for the last five years to try to prepare the kernel for 2038. 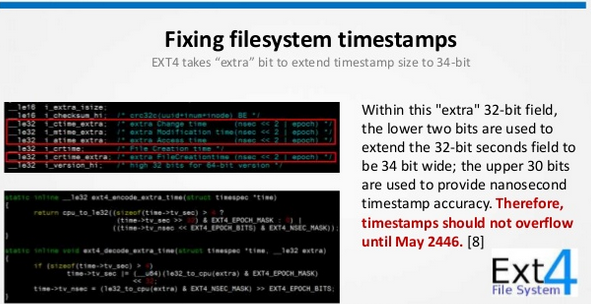 Much of that work involves converting 32-bit timestamps to 64-bit values, even on 32-bit systems. Some 32-bit timestamps also show up in the user-space API, which complicates the issue considerably. There is a plan for the enhancement of the user-space API with 2038-clean versions of the problematic system calls, but it has not yet gotten upstream. One recent exception is the statx() system call, which was merged for 4.11; statx() will serve as the year-2038-capable version of the stat() family of calls. There are quite a few other system calls still needing 2038-clean replacements, though. There is one other person, Deepa Dinamani, working on the kernel side of things; she started as an Outreachy intern and has continued to work on the problem after the internship ended. Dinamani has a set of virtual filesystem layer patches in hand, which address one of the hardest problems, and she has plans for some other system calls as well. One of the trickier ones might be setsockopt(), which isn’t easily fixed or emulated at the glibc level. There are device-mapper and input subsystem patches in an advanced state. 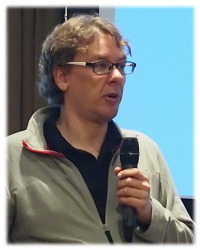 Bergmann had a patch for the video4linux subsystem, but that was rejected and needs a new approach; a similar situation exists for the audio subsystem. Other areas needing work in the kernel are key management and realtime clocks. For some system calls, there will be no replacement, since the best approach appears to be emulation in the C libraries — the second focus for the year-2038 effort. There has been a lot of work done in the glibc community in particular, he said; the plan is to be fully backward compatible at that level. That means that it will be possible to build a program with either 32-bit or 64-bit timestamps, and to use the larger timestamps even on older kernels. In other words, the glibc developers are trying to make things work everywhere, with a minimum of disruption. One big area of concern is automobiles. A lot of devices, such as handsets, will have long since failed for any of a number of other reasons by then, so there is little point in ensuring that they can survive 2038. But people keep cars going for a long time. There may still be cameras in use by then, and there is highly likely to be a lot of deeply embedded systems such as building infrastructure. Some of these systems are going to fail in 2038. That is why it is important to get the problem fixed as soon as possible. As things wound down, John Stultz asked how much the work in the BSD camp, which has (in some variants) already solved its year-2038 problems, might help with Linux. The answer would appear to be „not much“. BSD-based distributions have the advantage of being able to rebuild everything from scratch, so they do not need to maintain user-space ABI compatibility in the same way. There is some value in in the work that has been done to fix applications with year-2038 problems, but it’s not clear how much that will help the Linux community.